Final Grand Prix Race on Sunday! Yes, winter finally arrived on Cape Cod and with it, the last race of the 2012-2013 Winter Grand Prix! Chased down by Polar Bear Runners, will Happy Trails prevail as the overall team champions? Katie McCully and Rory Jenkins control the individual races but will a new face or mishap on the roads relegate either to runner up? This week’s race will be hosted by Dawn Varnum’s mom in Eastham and is a 5’ish mile loop around National Seashore land [map]. IMPORTANT: Since there isn’t an abundance of parking on Duck Marsh Lane, our hosts request that we park across the street on Candlewood and overflow to the elementary school parking lot. Please avoid parking on Schoolhouse Road but if you must, please park on the school side of the road and get as far off of the road as possible. ALSO IMPORTANT: Check the scoreboard and make sure we have all the results correct and divisions and volunteer points accounted for. 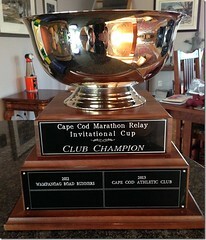 If you see any problems in your results, e-mail ccac@capecodathleticclub.org as soon as possible! We don’t want to give your award to someone else! PS – have you sent in your application for the banquet yet? East Sandwich and West Barnstable town line 6A, to Sandy Neck Rd… to end & into parking lot. Registration will be in parking lot…. Water Station along course, race course is relatively flat and scenic. 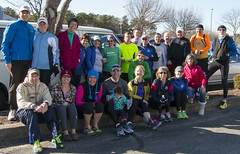 Refreshments post run along with results & awards… bring family and friends… It ‘s sure to be fun! Town of Barnstable or anyone involved with this event responsible for any injury I incur to myself before, during, or after this event. East Sandwich Beach… Off 6A East Sandwich, take ploughed Neck Rd to end. Make a left… quarter mile to dirt parking lot. Race registration in dirt parking lot. This is the waiver. I will not hold anyone responsible for injuries incurred by me before, during or after this event. I will not hold Kate Naples, Town of Sandwich, or anyone involved with the race responsible. I promise I am healthy and readily trained for this event. ONLINE REGISTRATION IS NOW OPEN FOR THE 26TH ANNUAL STRAWBERRY SHORTCAKE 10K. The race will be held on Saturday, May 18th with the 10K Run beginning at 10:00 am. The 10K walk and 2 mile fun run will begin at 9:30 am. Please send us an email with any questions or for additional information. The website will be updated with additional race information as details are finalized. 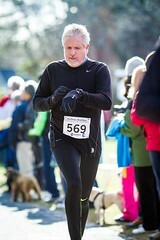 The 2nd Annual Norwell St. Patricks Day 4 Mile Road Race will be held at 10:00 am on Saturday, March 16, 2012. Race day registration and number pickup will open at 8:15 am at McGreal’s Tavern, 690 Main Street. The race has a unique multi charity format that allows the runners to choose the charities we will make donations to. Some of the charities that the runners have already chosen are: The Kathy Frank Scholarship Fund, The Boys & Girls Club of Plymouth, Friends of South Shore Hospital and Cops for Kids with Cancer. 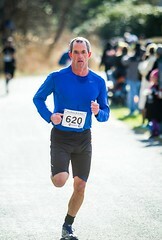 Online registration and race information can be found on the race website at http://www.southshoreracemgmt.com/2nd-annual-st-patricks-4-miler-norwell—march-16-2013.html. For anyone interested in sponsoring or volunteering for the race, please send an email to southshorerace@hotmail.com. Volunteers are needed in all areas including pre-race, race setup, waterstops, starting and finish line. I am writing this in hopes that you can spread the word about the 3rd annual Run For Charlotte. 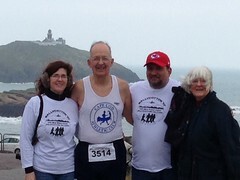 great race with lots of food and beer, live entertainment, and award ceremony to follow. There will also be a large children’s area with games and prizes. is held in memory of my brave 5 year old niece, Charlotte Rose Kelly, who lost her battle with cancer last year. If you could help us spread the word in anyway, we would be forever grateful. Thank you for your time and consideration.